for a lookbook. Their photo books are a great way to bring your digital lookbooks to life. Since we're well into Spring in my neck of the woods, I thought it would be the perfect opportunity to showcase five newsroom-approved looks that are perfect for Spring. Most of the items in each of these outfits are pieces that I've had for awhile, showing again the importance of smart shopping. What I love about all of these pieces is their versatility. Not only do the individual pieces work well with other items in my closest, but they all transition easily into Summer and beyond. I've told you in previous posts that these are one of my favorite shoes to wear in warm weather. 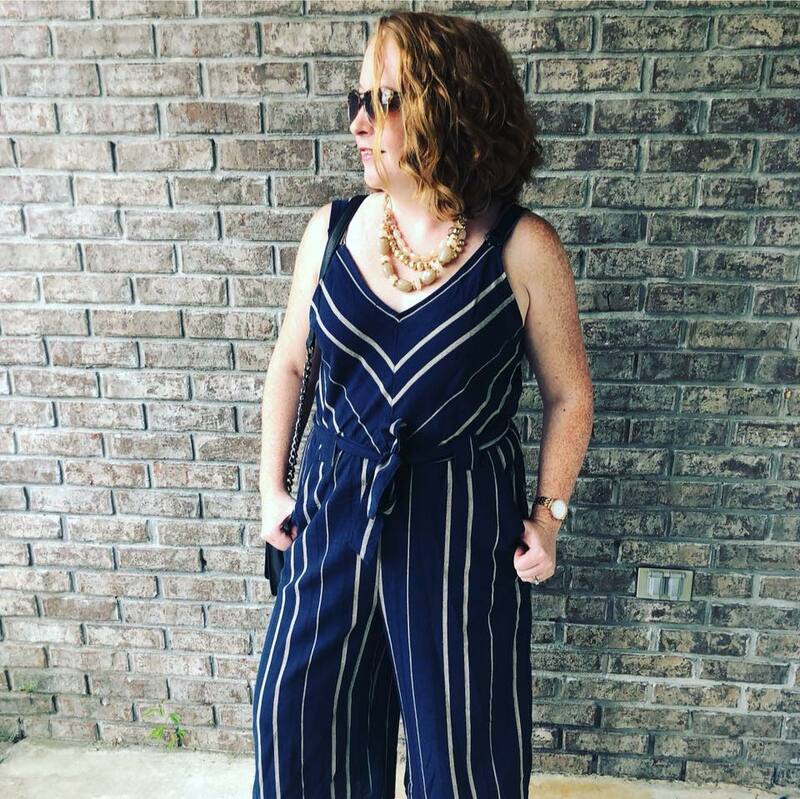 They're flattering on almost everyone and you can find them almost everywhere for a variety of prices (and in a variety of colors). Gray is a great neutral. I love this skirt because I can pair it with lighter colors and fun prints for Spring/Summer or throw on a solid, dark-colored sweater and tights for winter. 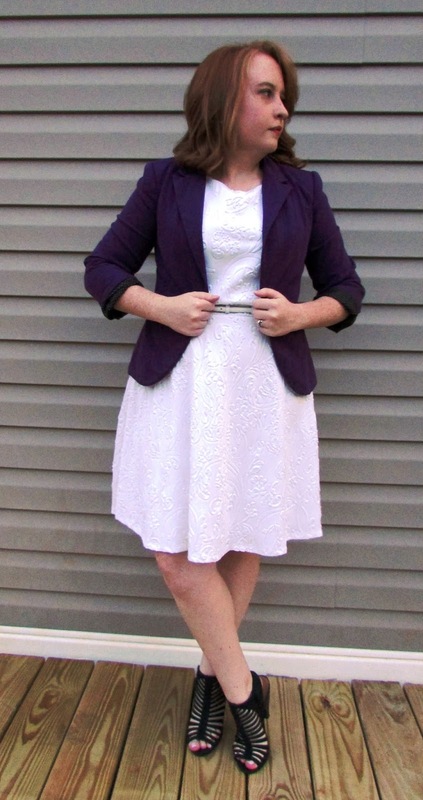 This outfit is all about the dress. I typically stay away from this much white but the fun, raised pattern gives this dress something special. It can easily be dressed up like I did here with the blazer or toughened up by throwing on a black leather jacket. When I came across these teal-colored pants in JCPenny, I couldn't say no. The Worthington ankle pant is so flattering and actually not too long (which is saying something for me considering I'm only 5'2"). What I love about these pants is that I can pair them with something busy like this top to ground the outfit or I can let them be the star by choosing a solid white button-up. I am in love with this top! Bright blues are always a win for me so this purchase was a no brainer, although it was a little pricier than I would normally splurge on at Target. 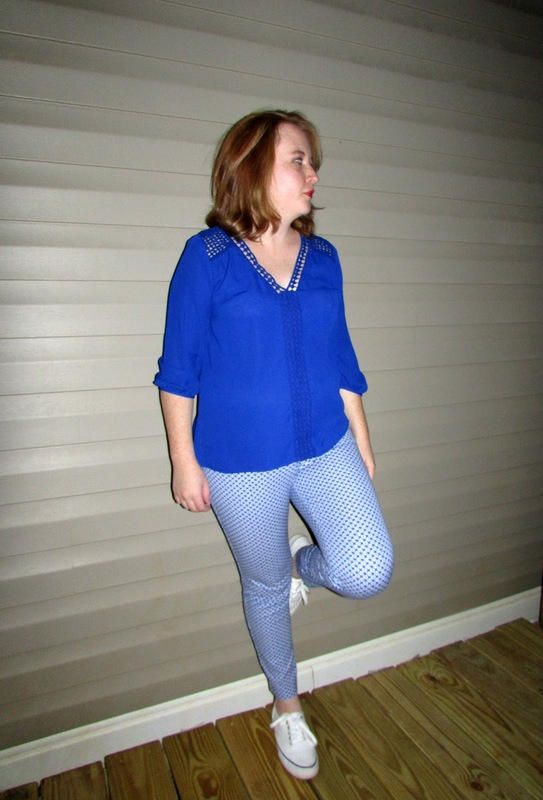 The fact that they almost perfectly match the blue of these Pixie pants is a bonus! I always admire monochrome looks on other people but just can't ever seem to pull it off on myself, so for me to even pair these two items together was a big leap. But I love the results! This isn't your typical denim skirt. The button-up front gives it a cool '70s vibe, and the length makes it appropriate for a casual work day. I bought this shirt for the bell sleeves, which I wasn't sure I would like, but I'm glad I took the chance! The texture makes it all the more interesting. The tail, although tucked in here, is perfect for leaving untucked and still looking polished.